Are you about to build out or retrofit an indoor cannabis cultivation facility? Or are you looking to improve your currently operating facility? If you have experience in either engineering, construction, or agriculture, or if you've been growing cannabis for a few years already, you might be one of the few who can compete in the newly legal cannabis market. I'm Jennifer Martin, and I have 25 years experience setting up and operating cannabis cultivation facilities and have spent the last 4 years helping new cannabis businesses get operational. ​My approach to growing marijuana is oriented around simple systems that can produce craft quality cannabis with minimized amounts of labor and resources. I use LED lights, vertical racking systems and either mineral or organic nutrients. I also have vast experience with rockwool cloning and propagation and have been following popular genetics since the early 90s. 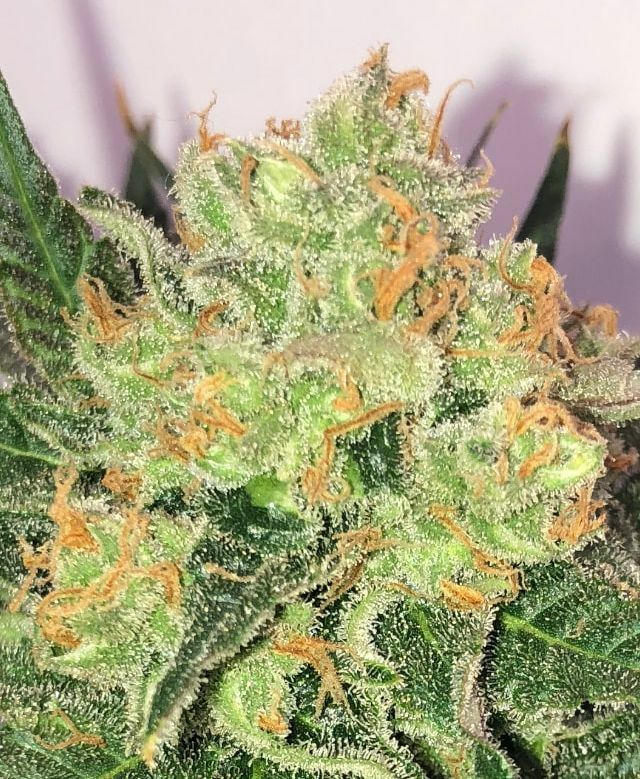 I seek out and breed cultivars that suit commercial production with regard to regional popularity, potency, cannabinoid content, height and physical structure, finish time and terpene profiles. I've redesigned my own grow facilities dozens of times since the early 90s, testing every cultivation method from water culture to coco coir to rockwool to organic soil. And in the past few years, I've been involved with 17 licensed indoor commercial cannabis facilities across the US, ranging in size from 5000 to 20,000 square feet. With an eye on both operational efficiency and world-class craft flower quality at the same time, I've found some excellent ways to produce highly marketable top shelf cannabis. My approach to designing and implementing a cannabis production facility is a mixture of financial, data-driven and aesthetic sensibilities. I don't stick to one school of thought; I root clones and grow mother plants in rockwool with mineral nutrients, and I flower plants under LEDs in organic custom-blended soil using a Sea of Green (SOG) system. I use lab data in conjunction with basic plant sense to determine watering quantity, light intensity, nutrient levels and pruning methods. I love the idea of automation and work towards that, but when a product is worth $1500 per pound and the market is oversupplied, I believe it's still worth it to exercise some degree of customized plant treatment in order to ensure excellent results. Why choose me as your advisor? I have a solid reputation for being a reliable, straight shooter, and I don't have any financial interest in the products I recommend. I have made all of the mistakes so that you don't have to, and I have many references and happy clients who can attest to my accessibility and competence. Keep this in mind: All sales and marketing info that comes from an equipment company is fundamentally biased; they only tell you the positive side of the product. They don't want to admit the problems you might encounter with their product. With nutrients, it's a similar situation. None of them are particularly unique or valuable. You can mix your own salts for a fraction of the cost of anything you find in bottled or packaged form with the same or better results. As a newbie in the industry, it's easy to fall for slick marketing and shiny sales pitches. With an advisor like me, I can help you look under the hood and be discerning so your project can hit the ground running.